A deeper look at the grooves pressed into the Certified edition of Oooooooohhh… On The TLC Tip by TLC. From a historical standpoint, it’s always remarkable to observe how and when a dynasty began. Take TLC, for example; to date, the group comes second only to The Supremes in regards to how far their influence reaches on both musical and cultural levels. That statement is made here with no hyperbole at all, it is just a FACT. The group’s sophomore and tertiary albums, CrazySexyCool and FanMail, have become institutions upon which modern R&B, hip hop, soul and pop have been built in the decades since their release; not one album released within any of those genres DOESN’T bear some trace influence of TLC’s musical fingerprints. Between them, CrazySexyCool and FanMail have sold more than 21 million albums worldwide – that’s successful in any language, and it’s impossible to deny. Readers won’t be able to deny how well-regarded TLC would become from 1994 forward but, of course, that’s not where the group’s story started. No, TLC first arrived in the pop world in 1992 with Ooooooohhh… On The TLC Tip which, while not selling quite as well as its successors would (it sold a measly six million albums worldwide), did definitely align all the tumblers for what would follow. It’s for that reason Legacy’s Certified edition vinyl reissue is just so cool; with the benefit of hindsight, it’s great to hear all the multi-platinum elements organize themselves and play brilliantly here, and also foreshadow the heights to which the group would later ascend. Keeping that ‘heights to which they’d later ascend’ sentiment in mind is a guaranteed way to ensure listeners will be knocked clean over as “Ain’t 2 Proud 2 Beg” opens up after a short but incredibly misogynistic and ironic “Intro” (where a radio station caller offers a tepid opinion of TLC’s music based on the “way they look” – which is even more despicable and laughable in all the wrong ways now, twenty-six years later). There, the pop energy of the song (the beat, the tempo and the gang refrain are all flawless examples of where pop radio was in 1992 and, really, could still play way on any station in 2018 too) can still pull even the stiffest critic into the group’s fold. Tionne “T-Boz” Watkins’ slippery/sleek verse vocal gives listeners a slightly rougher edge and great bass guaranteed to make heads begin to bob, but the chorus is the real payday for the group as “Chilli” Thomas and “Left Eye” Lopez rain vocal interplay like diamonds down on listeners and basically guarantee that anyone with two X chromosomes who comes into contact with the music will be at least humming (if not singing) along by the second chorus – it’s just that infectious and comes closer than any other artist had at that point to turning the general sense of misogyny that was oozing through hip hop at the time on its head. That same sort of bold push to not just let men have all the fun runs over into “Shock Dat Monkey” and then lyrically pushes back against any man who would look down upon the women in the group. Later on the side, TLC gets a little more ghetto with “Hat 2 Da Back”before commissioning Marley Marl to help the group out with “Das Da Way We Like ‘Em” which lifts the beat from “O.P.P.” by Naughty By Nature before the side closes with another platinum-streaked single in the shape of ”What About Your Friend”. Now, it can’t be denied that there are certain elements in each single that appears on Ooooooohhh… On The TLC Tip which present very, very commonplace sounds and themes in pop (the tight, overdubbed and multi-layered vocals, the warm and sweeping vocals which ensure that pop audiences are hooked hard by each chorus and the samples which feature strings, for obvious examples), but the truth is none of them were commonplace before the release of Ooooooohhh… On The TLC Tip. It might feel a little unbelievable, but the truth is that pop simply would not sound quite the way it does today in 2018 – had this album not broken through as it did. 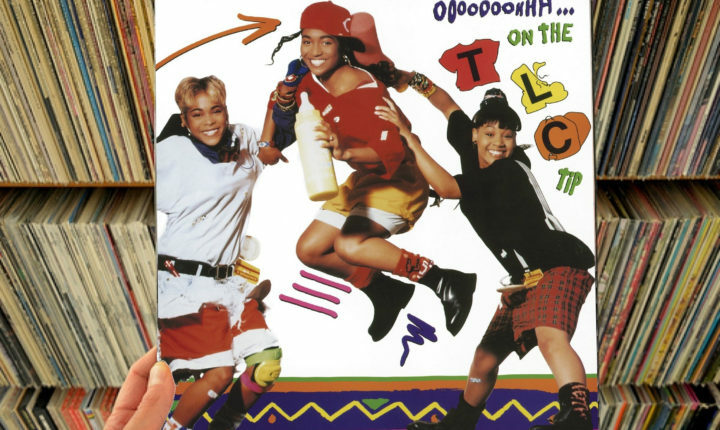 The remastered vinyl reissue of Ooooooohhh… On The TLC Tip is out now. Buy it here on Amazon.